Washington D.C. Metro home prices set new all-time high of $460,000. May closed sales and new pending sales at decade highs; inventories continue to shrink by double-digits. The Washington D.C. Metro median sales price of $460,000 was up 7.0% or $30,000 compared to last year. This represents the all-time high for any month on record, topping the previous high of $446,000 reached in June 2016. Sales volume across the DC Metro area was over $3.1 billion, up 9.7% from last May. Closed sales of 5,620 were up 3.5% compared to last year and set a May high for the decade. New contract activity of 6,668 was 4.4% above last year’s May record of 6,385. New listings of 8,085 were up 8.7% compared to last year and up 5.5% compared to last month. Active listings of 9,865 are down 10.9% compared to last year, but are up 3.3% compared to last month. This is the thirteenth consecutive month of declines in year-over-year inventory levels, and inventories are at the lowest May level since 2013. The average percent of original list price received at sale in May was 98.8%, up from last year’s 98.3% and from last month’s 98.7%. This was the highest May level of the decade. The median days-on-market for May 2017 was 10 days, 3 days lower than last year. May’s regional median sales price rose to $460,000, the highest monthly level on record with data going back to 1997. This was a 7% or $30,000 increase over last year and a 5.4% or $23,500 increase over last month. Single-family detached homes increased 7.5% to $574,950, townhomes rose 4.9% to $435,250, and condos rose 0.2% to $311,000. May prices are well above the 5-year average of $435,960, and the 10-year average of $400,191. The overall regional price of $460,000 is 34.6% above the May 2010 low of $341,750, and 5.7% above the previous May 2015 high of $435,000. Falls Church City is still the most expensive location in the region, with a median sales price of $829,010, up 32.6% from last year, which was the largest increase in the region. Prince George’s County remains the most affordable area in the region, with a May median sales price of $275,000, up 10% from last year. Only Alexandria City (-11.8% to $474,900) saw a decrease in median sales price compared to last year; all other jurisdictions saw increases. For the year to date, the overall regional median sales price is up 5.4% to $425,000. Closed sales of 5,620 were up 3.5% from last year and were up 22.2% from last month, and the highest May tally since 2005. All property types saw increases in sales this month, with single-family detached and townhome sales both up 3.6% to 2,758 and 1,406, respectively, and condos up 2.9% to 1,455. Sales remain above both the 5-year average of 5,105 and the 10-year average of 4,612. May’s closed sales were up 56.3% above the market low of 3,596 seen in May 2008. Sales activity across the region was mostly up, with the largest percentage increase in Fairfax City (+44.8% or 13 sales) and the largest percentage decrease in Montgomery County ( -7.5% or 101 sales). For the year-to-date though, all jurisdictions continue to show gains in sales, with the largest in Falls Church City (+46.7 or +28 sales) and the smallest in Montgomery County (+4.4% or +208 sales). New pending sales of 6,668 were up 4.4% compared to last year and up 9.4% from last month, marking the highest May level since 2004. Townhome new pending sales showed the strongest gains, up 5.7% to 1,688. Condos rose 5.3% to 1,676 and single-family detached were up 3.4% to 3,304. Pending sales are above the 5-year average of 6,169 and the 10-year average of 5,437. May’s new pending sales were 73.2% more than the May 2010 low of 3,849. Pending sales activity across the region was mixed, with the largest percentage increase in Fairfax City, which was up from 35 pending sales to 53 (+51.4%). The smallest increase was in Arlington County (+2.1 or 7 pending sales). The only decrease in new pending sales was in Montgomery County, where they were down 4.8% to 1,537. There were 8,085 new listings in May, up 8.7% from last year and up 5.5% compared to last month. New single-family detached listings were up 9.9% to 4,055, new condo listings were up 7.7% to 2,115, and new townhome listings were up 7.6% to 1,914. New listings are above both the 5-year average of 7,812 and the 10-year average of 7,235. May new listings are 34.8% above the 10-year low of 5,996 seen in May 2010 and are 2.3% below the peak level of 8,275 seen in 2015. Across the D.C. Metro, all jurisdictions saw an increase in new listings compared to last year, with the largest percentage increase of 33.3% in Falls Church City, where they increased from 27 to 36. The smallest percentage increase was in Montgomery County, where new listings increased 3.8% to 1,931. May active inventories of 9,865 decreased 10.9% compared to last year, but were up 3.3% compared to last month. All property types showed decreases in inventory levels over last year, with townhome inventories down 13.8% to 1,714, condo inventories down 13.7% to 2,553, and single-family detached inventories down 8.6% to 5,589. Inventories are below both the 5-year average of 10,296, and the 10-year average of 13,771. May inventory levels exceed the 2013 low of 7,999 by 23.3%, but are down 61.9% from the peak of 25,872 seen in May 2008. Across the region, inventory levels dropped everywhere except Washington, D.C, where they rose 7.4% to 1,376. The largest decline was in Fairfax City, where they dropped 18.1% or 13 listings. The regional average sales price to original listing price ratio (SP to OLP ratio) for May was 98.8%, up from last year’s 98.3%, and also up from last month’s 98.7%. Townhomes have the highest May SP to OLP ratio of 99.8%. Single-family detached homes have a SP to OLP ratio of 98.6% and condos have a ratio of 98.4%. May’s SP to OLP ratio exceeds the 5-year average of 98.5% and the 10-year average of 96.4%. Over the last decade, the region’s May average sales price to original listing price ratio ranged from a low of 91.9% in 2009 to this May’s high of 98.8%. The prior highest May level in the last ten years was the 98.7% seen in 2014. The largest gap between original listing price and sales price was in Fairfax City, where the average ratio was 98.4%, up from last year’s 97.8%. Washington D.C. had the highest regional SP to OLP ratio, at 99.6% of original listing price, down from last year’s 99.8%. The median days-on-market (DOM) in May was 10 days, down from 13 days last year and the same as last month. Condos have a median DOM of 13, single-family detached homes have a median DOM of 11, and townhomes have a median DOM of 7. May’s median DOM was one day below the 5-year average of 11 days, and was 11 days below the 10-year average of 21 days. This month’s median DOM of 10 is the second-lowest level in a decade (the lowest was 9 days in 2013). The highest DOM of the last 10 years was 49 days in 2008. The highest median DOM in the region in May was in Prince George’s County where it was 14 days, down from 19 days last year. Alexandria City, Arlington County, Fairfax City, Falls Church City and Washington D.C. all have a median DOM of 8 days, and in each of those entities it is down from last May’s median DOM. 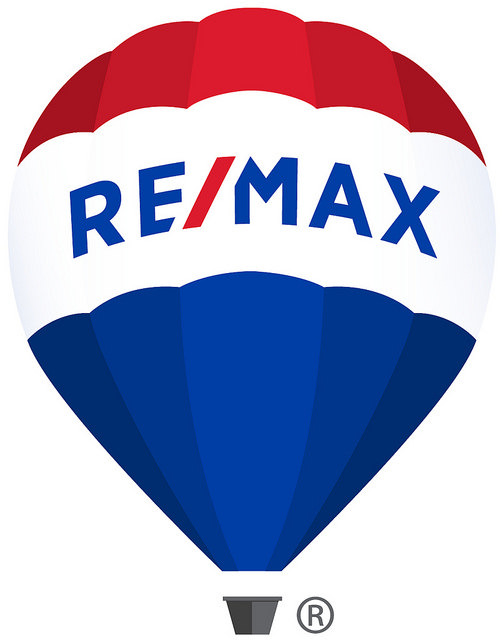 ©2019 Casey O'Neal | RE/MAX Allegiance. All rights reserved.